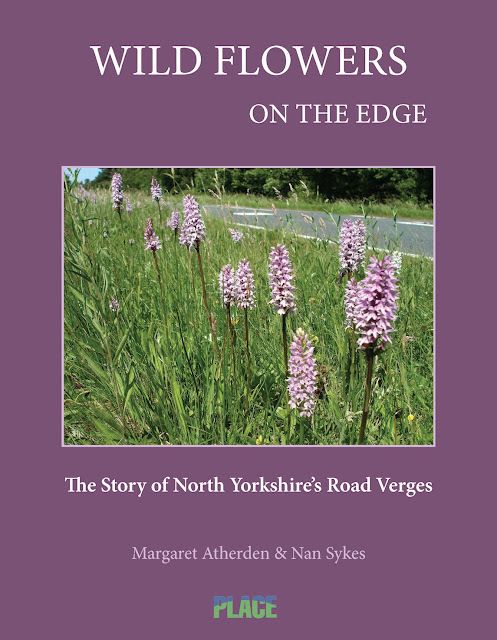 The Story of North Yorkshire’s Road Verges by Margaret Atherden and Nan Sykes. You sit up and take notice of the publication of a book with an original theme, written by two local experts about their lifetime passion. When it’s about native flowers and escaped garden plants that survive and thrive alongside the highway, and which provide sometimes perilous habitat for wildlife, you know its going to be a good read. When you open the book and see headings such as ‘Ancient tracks to Modern Highways’ and ‘Nettles and Strange Onions’, you can anticipate something special. I was hooked by page three which depicts verges that reflect diverse Yorkshire roadside ecologies, everything between limestone grassland and moorland heath. A picture of Yorkshire Wolds chalk scenery overlooking the flat vale of York where I live, gave me a warm thrill. The paperback is only 88 pages long. The first half reveals fascinating insights into the history, geography, ecology and management of the county’s linear wildlife habitats. The second part of the book is a beautifully illustrated compendium of nearly a thousand plants. It’s a book difficult to classify. It has the beauty of a coffee table book, but not it’s thick glossy girth or shallow content. It’s not a dry flora, but is an accurate source of information when you want to identify a plant. It’s a wonderful book to just dip into. If, like me, you like to curl up in an armchair and dream about beautiful plants, you will want this book on your lap. As a means for a non-expert to quickly identify a wild flower it is second to none. As a flora, it’s text is unencumbered by latin names which can instead be found in the detailed index. If, as a gardener, you have a basic plant knowledge, enough to know whether a plant is a clover, buttercup, St John’s-wort, cranes-bill or speedwell, you can go straight to the right page where you will find a clear photograph, exact common name and a simple pen-picture. The illustrations are very good. I love the helpful page titles that aid plant identification. Headings like ‘small white look-a-likes’, ‘yellow daisies’, ‘white umbrellas’, ‘down in the ditch’, ‘hedge row trees and shrubs’. It’s much more than a flora. The authors share their great knowledge of professional management of roadside vegetation. They explain how, by enlightened procedures, such as method, frequency and timing of grass cutting, rich habitats can be created. Every theme is supported by clear illustrations.They record good and bad examples of roadside management and rejoice in the fact that the use of herbicide is out of fashion. Although in general they are not censorious of poor management practice, they are rather scathing about men with ride-on-mowers who closely mow grass verges way beyond their own property. The book describes how roadside flora reflects local ecologies such as land use, soil, rainfall, drainage and much more. In addition, roads have their own ecological drivers, such as salt. The book describes how salt-marsh and coastal plants have colonized roadsides for many miles. I have many of the wild flowers, such as wild strawberries, arums and violets etc that are mentioned in the book, in my own garden, along with many of the weeds! On verges there are no weeds and all plants have their place! Because the book does not group plants by latin name, each plant is identified by its traditional country name. We have a rich linguistic heritage: dewberry, hemp-agrimony, sneezewort, cuckoo-flower and lady’s smock, I could fill the page with evocative names. Not sure about Brook-lime though! 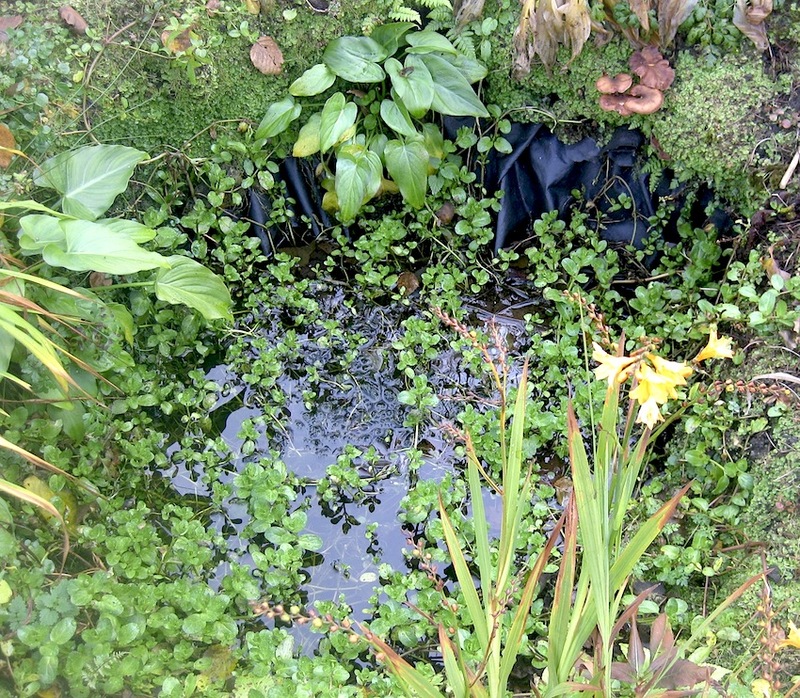 Brooklime, a plant for boggy places, sprawls over my small pond. I prefer its common name, Veronica beccabunga! ‘Wild flowers on the edge’ is published under the auspices of PLACE, a registered charity based at York St John University. The final pages describe how you can get involved. It is available at YPD books. Sounds like a good book. Mowing road verges before wild flowers have appeared is horticultural vandalism! It is appalling how many councils do it. 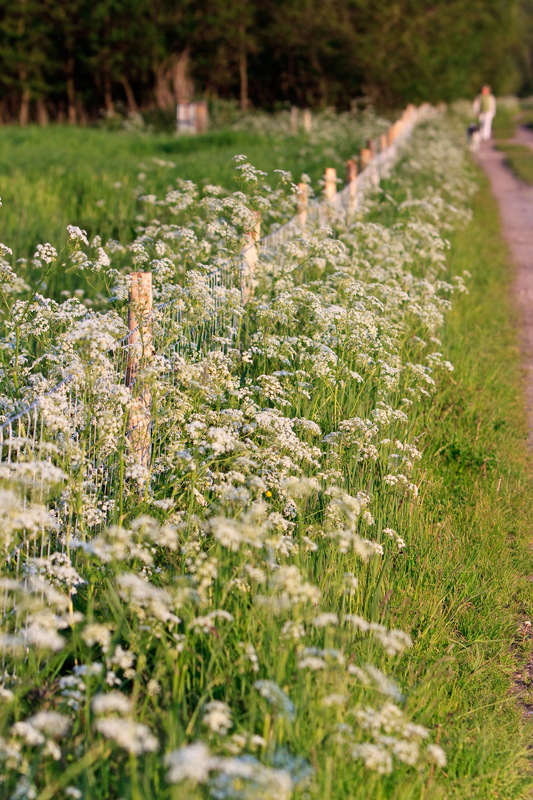 Wildflowers on road verges play a vital role as a food source for pollinators, as well as being a source of food for insects, birds and small mammals. Thanks for your comment James, The timing of mowing is quite a fine art when you are trying to maximise wild flower seeding. These are often the plants of our childhood. I can remember blowing on a dandelion ‘clock’ to tell the time, or simply pulling the petals off of a daisy; she loves me, she loves me not! And I agree that wildflower names have a magic about them. Greater stitchwort - called Soldiers’ Buttons because the dashing white flowers are reminiscent of the buttons on old-fashioned military tunics. Bird’s foot trefoil, or bacon and eggs, with tiny yellow (egg) flowers tipped with red (bacon). The name comes from French, meaning three leaves. The seed capsules develop into long thin pods that resemble the claws of a small bird. What about Queen Anne Lace - sweet cicely? I remember eating handfuls of the aniseed-flavoured green seeds. Margaret and Nan seem to have struck a rich vein. The book has hundreds of these evocative names. I must try eating sweet cicely seeds Jennifer, the leaves do have such a fantastic aniseed smell! I remember daisy chains and the flowers of plantain which we called chimney brushes. I also remember the local name in Normanton for cow parsley, the not very reassuring name of mother die! What an interesting review - I had not seen this book. Planting wildflowers on railway edges, roundabouts, towpaths and verges is a great way of connecting towns to the countryside. The story of the spread of wildflowers and (dare I say weeds) on the railways over the last 100+ years is absolutely fascinating. Pernettya harem, the acid truth.